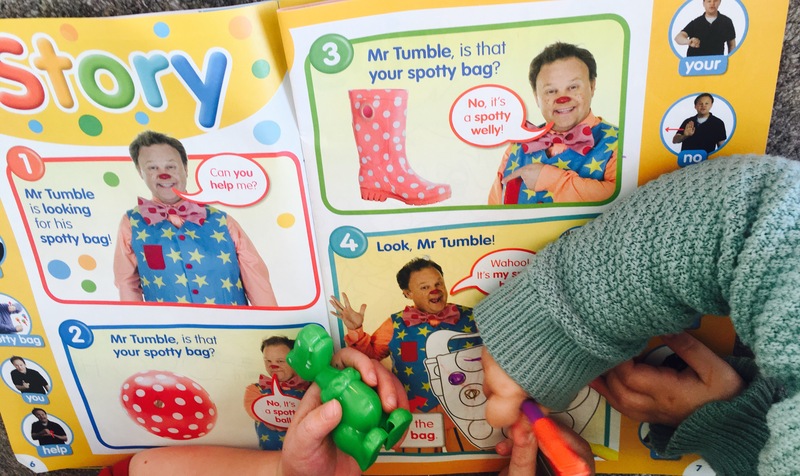 Have you bought the Mr Tumble Something Special Magazine before? 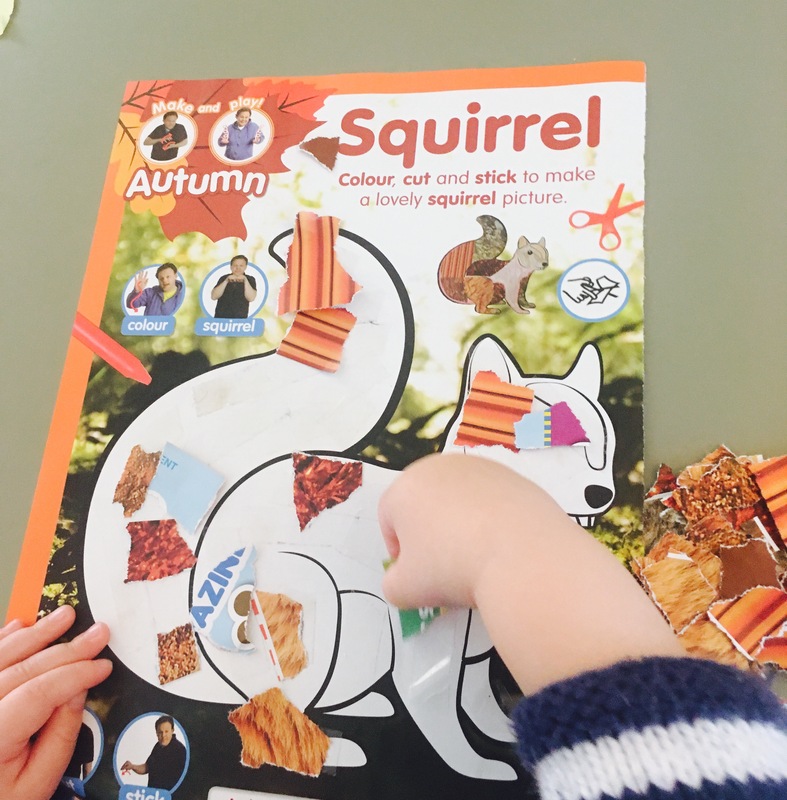 We’ve had so much fun with this month’s edition, it’s a wonderful celebration of all things Autumnal! 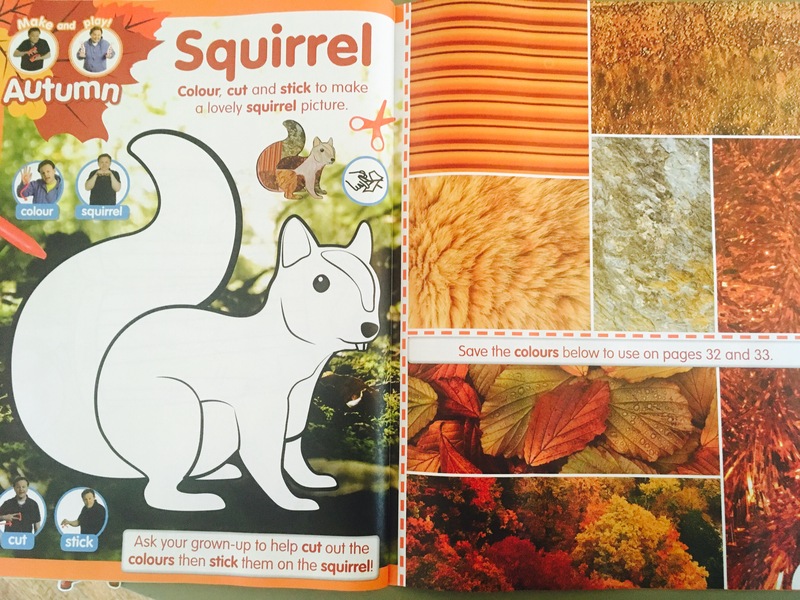 With fireworks, fallen leaves, squirrels, foxes and even a mention of vegetable soup! 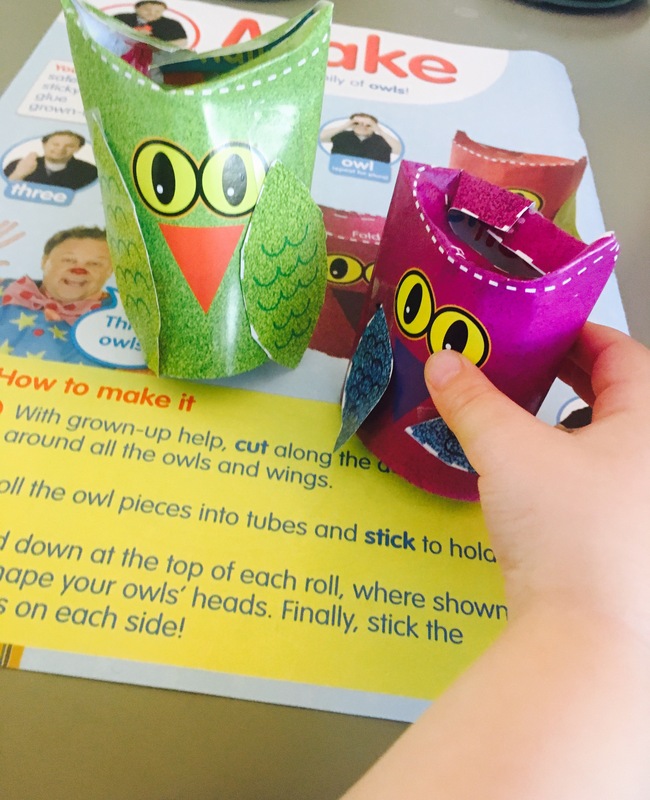 If you didn’t know already, we are huge fans of this fun and educational magazine series based on the Mr Tumble Something Special TV Programme. 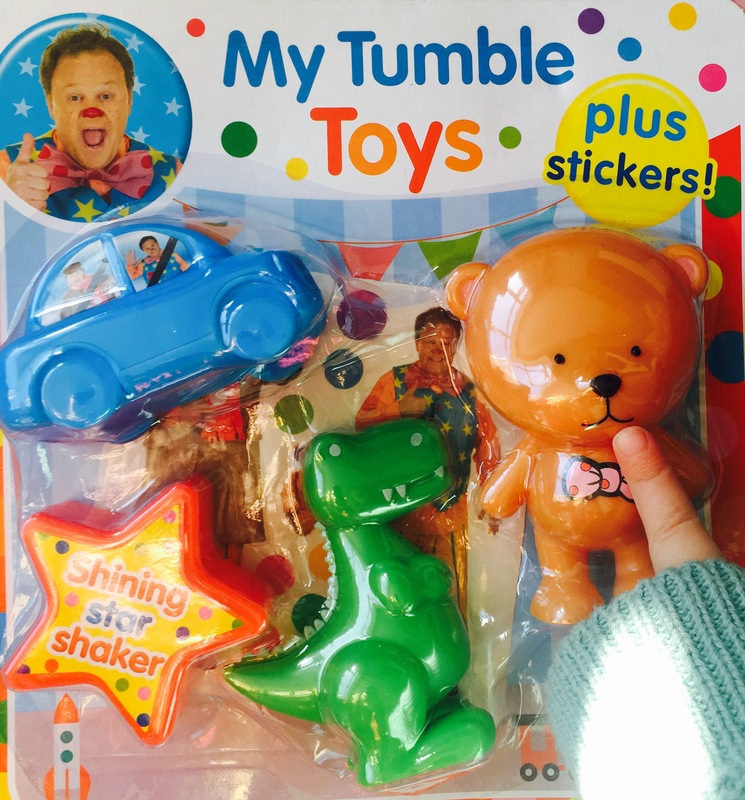 It’s aimed at all pre-school aged children and is particularly useful for those with special educational needs and disabilities. 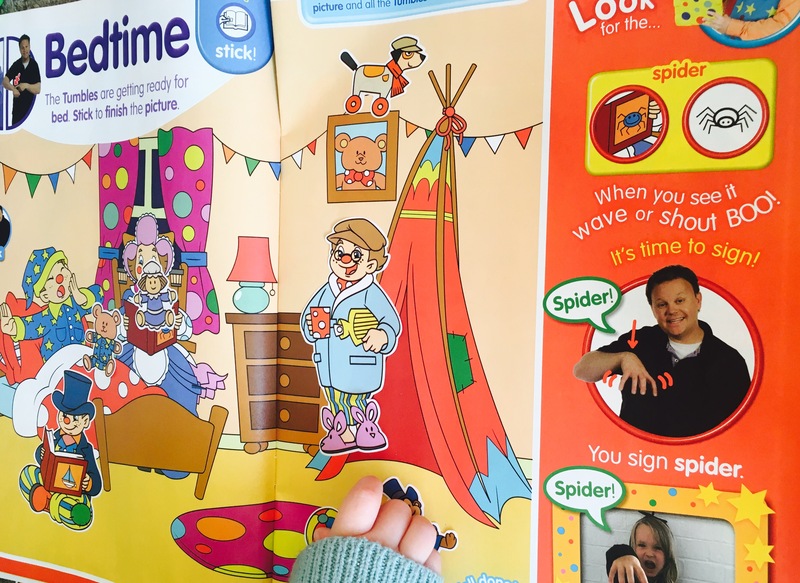 The magazines are packed full of stories, colouring pages , stickers, activities, crafts and includes makaton signing system on every page. They are great fun and very educational. We also love that the magazine promotes awareness of special educational needs and disabilities. 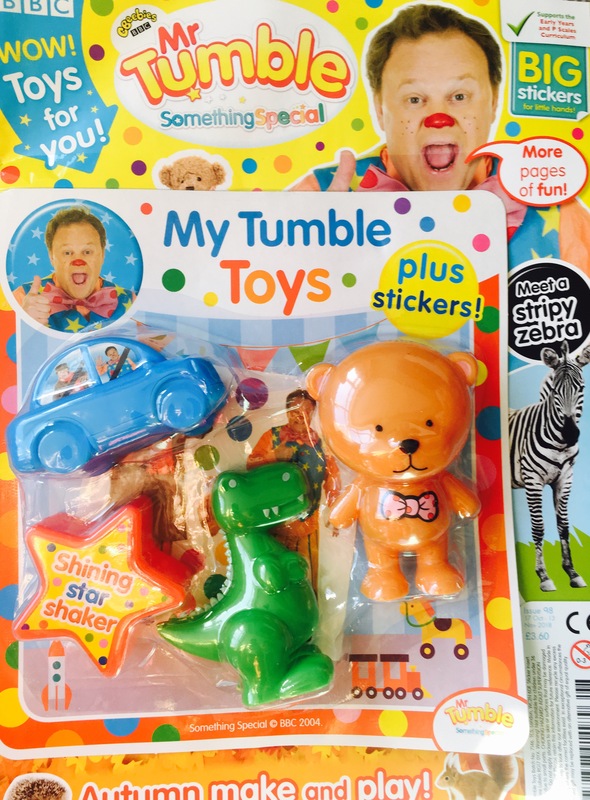 There’s something for everyone in this month’s magazine with a plastic teddy, dinosaur, star shaker, car and stickers! Ideal for sharing with a sibling or friend. What’s inside this month’s magazine? Sticker Scenes– The children adored the bedtime sticker scene. 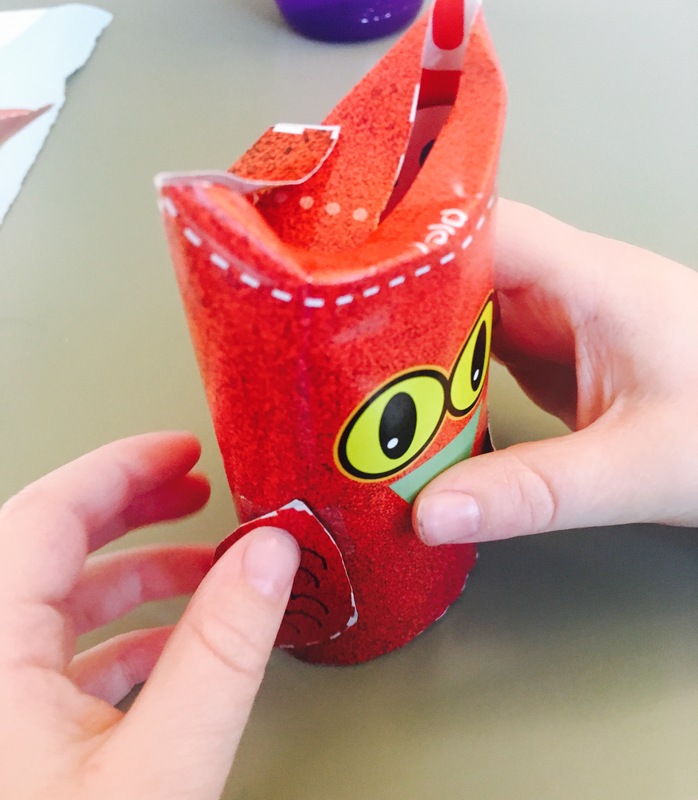 It’s a fantastic way of encouraging children’s speech, language and communication skills through play as it gets children talking about what they can see and the scene they have created (read my top tips on speech and language skills here). This sticker scene is also a great way of helping reinforce bedtime routines. Pre-Writing Skill Pages– Following dotted/dashed lines with a pencil can help children develop fine motor skills and practise shaped lines in preparation for learning to form the letters of the alphabet and learn to write. 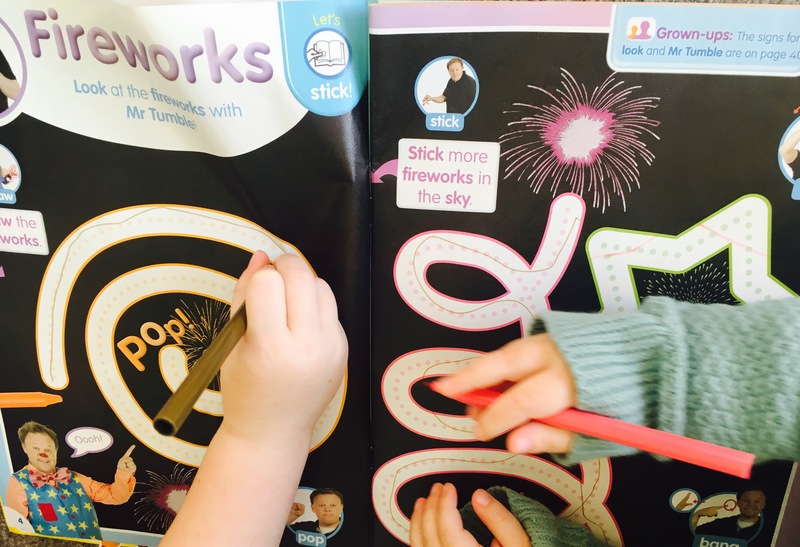 The pre-writing activities in this month’s magazine are really fun and motivate children to have a go! 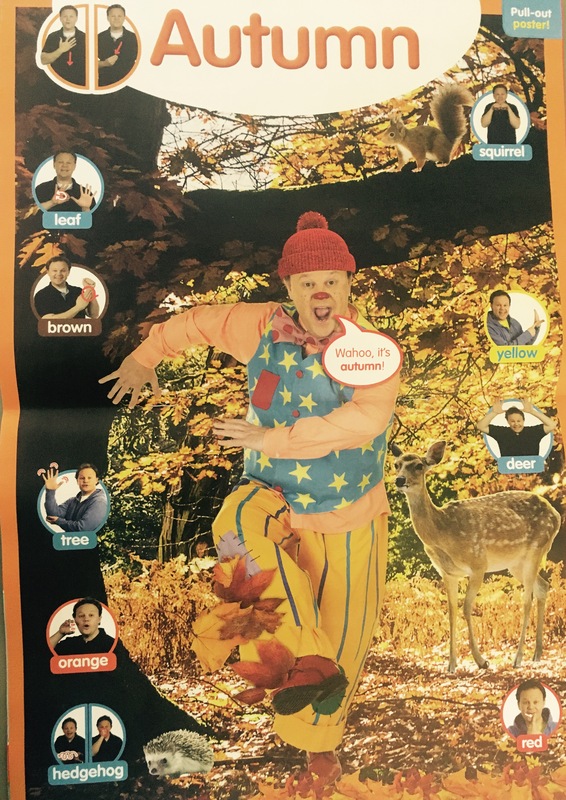 Colouring– As always, the Mr Tumble Magazine has some fantastic colouring pages, including this one below. 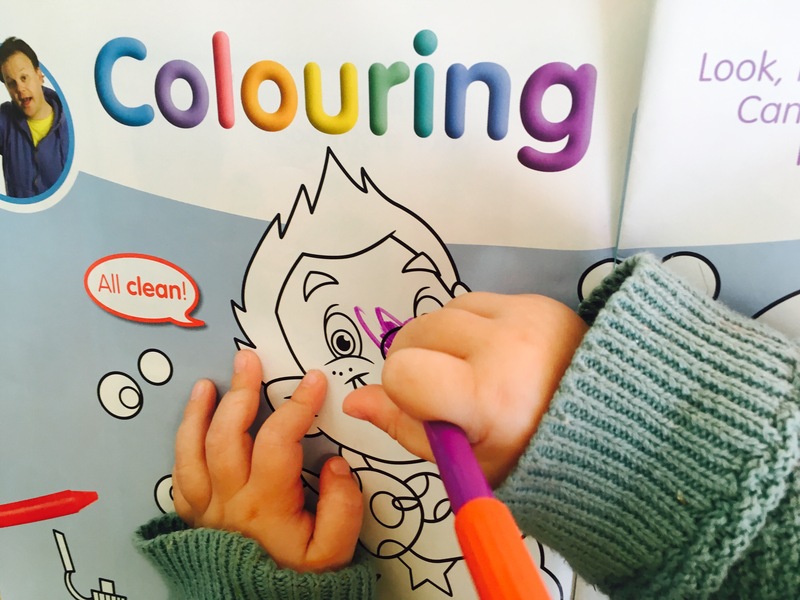 There are an incredible amount of benefits for children to colouring in have a read here how colouring helps their development. 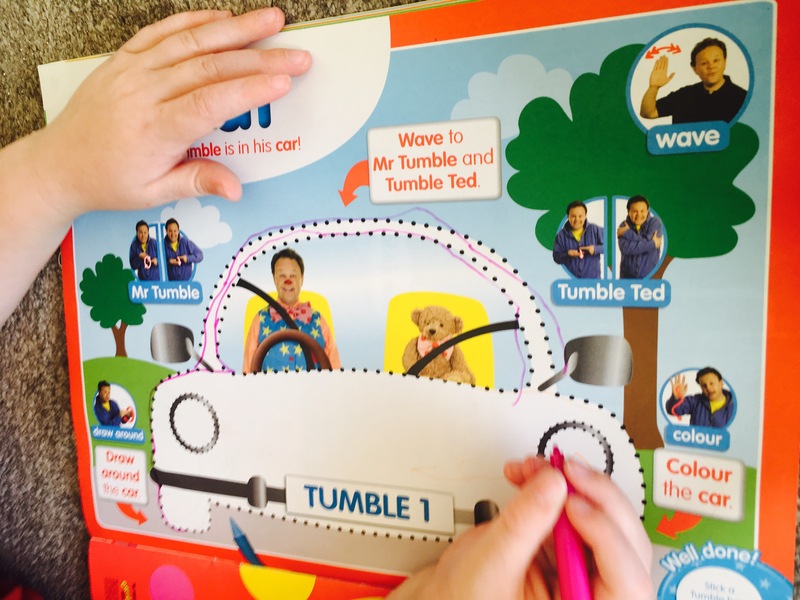 Stories– The children adore the Mr Tumble Stories. They are interactive, funny and engage children with questions. They are also a brilliant way for new readers to build their confidence practising reading with simple text. Our favourite activity this month was the Sing and Sign page. 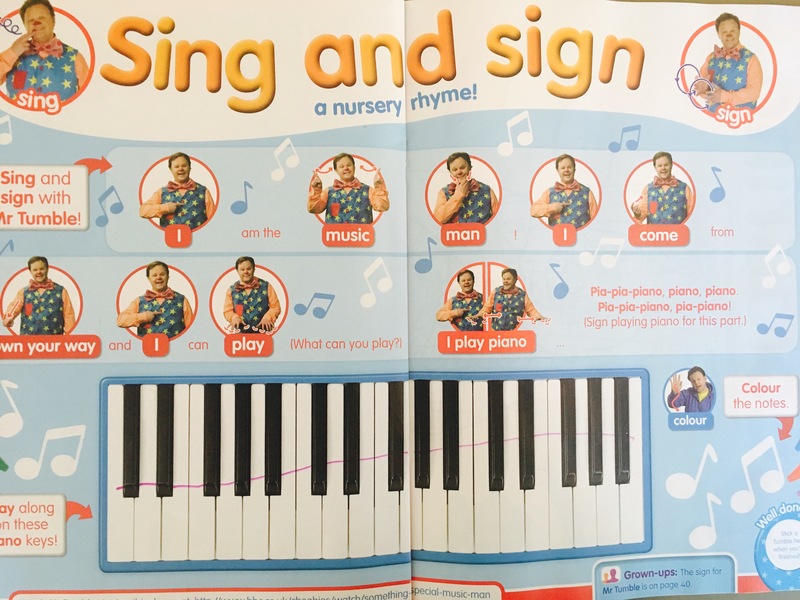 Each edition of the Mr Tumble Something Special Magazine includes a song with its lyrics and makaton signs. This month’s was particularly brilliant as it has a picture of a piano- that my children spent ages pretending to play! Please note this blog post is Sponsored and we also received a copy of the magazine for review. However, all thoughts and opinions are our own. ← How to Make Coloured Rice for Sensory Play in 3 Minutes!